PIA VPN is the most affordable, fastest VPN provider offering diversified 3000+ servers across the globe with zero-logging policy. It supports P2P file sharing and BitTorrent with an ad-blocking facility supported by multiple platforms. It’s fast, secured & enriched with top-level features, and the level of anonymity also reflects in the list of payment options PIA supports. Although PIA VPN is a complete service but, absence of free trial at times disappoint the new seekers. The list of servers still have a room for expansion. PIA support is fast in replying emails but, live chat support needs to be improvised. Users would be highly glad, if PIA affords US Netflix accessibility from Outside the USA. Private Internet Access is a competitive VPN with power pack features and affordable pricing packages. It has a humongous number of VPN servers, provides anonymous payment option, unlimited bandwidth, no logging policy, and a 24/7 customer service. However, it lacks a decent money back guarantee, offers no free trial and is headquartered in the most unsuited place for a VPN i.e. US. Private Internet Access VPN is managed by London Trust Media, based in USA. PIA VPN helps people bypass geo-restriction, mass surveillance, blocked content, malware attack, and cyber crimes. PIA’s main reason for success is its affordability and top-notch security features. It offers the highest level of encryption and multiple protocols. It has popular features such as P2P file sharing, DNS leak protection, internet kill switch, 256-bit AES encryption, ultra-fast speed and a lot more. PIA VPN also knows the value of anonymous payment methods as it has a BitCoin payment option. Also, its location can be a bit of concern for consumers but PIA’s strict no logs policy should be enough to clear the air of doubts. The company owns other businesses as well including Block Explorer, Freenode, Snoonet, Kore Asian Media, and Kinglife Family. Diversity in the parent company’s business profile proves the credibility and can be used in marketing to build trust among Internet users. In our Private Internet Access Review, we find it quite appealing when we first start finding the roots of PIA VPN. Does PIA VPN Work in China? Yes, Private Internet Access works in the Middle Kingdom – China, it does require some manual setup but don’t worry service provides a detailed guide to get through the whole process. The task becomes difficult due to the Chinese government attempts to block most of the VPNs. What Is Different About PIA VPN And Why One Should Buy It? While picking a best VPN service provider, we analyze every feature associated with the service and examine its premises with rigid scrutiny measures. We do this to facilitate new and existing VPN seekers. However, there are so many VPN providers in the market, most of them have similar packages plans that often confuse the new users with their tempting promotions and offers. Today, we are here to facilitate your VPN purchase, and for this we have chosen to review Private Internet Access, analyzing and testing every promise made by PIA VPN against its performance. 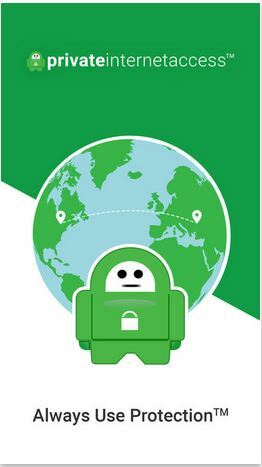 Private Internet Access (PIA) is one of the most-anonymous VPN services, offering a robust collection of features; file-sharing services, high level of privacy and reliability, and thousands of worldwide-located servers, coupled with a feather-light package at the cost less than the Netflix subscription. A lot of buzz is going on in the industry regarding the service quality of Private Internet Access. As seen on the forums and social platforms, a lot of users’ complaint about the service for not being as per expectations. Glitches and constant disconnects have been reported by many users. To find the truth behind the story, we decided to test the service and see if the complaints are true. So, let’s dive in head and see if the famous VPN provider still delivers the quality service that it has promised. Monthly Package: It costs $6.95/month. Half-Yearly Package: It costs $35.95/six months, which makes the monthly cost only $5.99. Yearly Package: It costs $39.95/year, which makes the monthly cost only $3.33. The annual plan is relatively more cost-savvy than the other options, without compromising on given features as all the tiers offer the uniform features. PIA VPN, following a no logging policy offers feature-rich packages with unlimited bandwidth, wi-fi encryption, multiple gateways, and P2P supported by VoIP. Supporting protocols are; PPTP, L2TP, and OpenVPN. Does PIA VPN Offer Any Free Trial? I know most of you had to skim through the article to find out this section. However, I don’t have good news in this regard because PIA VPN does not offer a free trial version for a test drive. I know most of you shocked after knowing this and turned down PIA for this reason. But, hold on! Downloading private internet access give you a seven-day money back guarantee. That is far better than a free-trial, as users frequently complain that the speed, performance, connectivity and associated privileges, varies between free-trials and the standard versions. So enjoy PIA VPN and test it risk-free for seven days and get your money back in case you don’t like the services on any reasonable ground. Though PIA is not the cheapest VPN on the list of the best VPNs but offers excellent value for money. 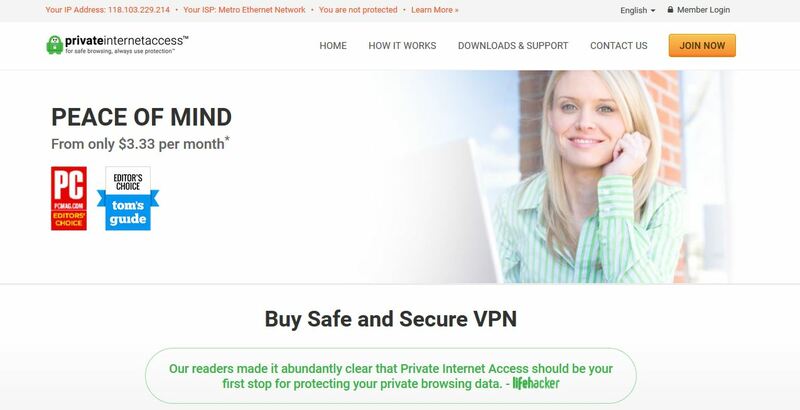 Private Internet Access VPN offers a 7-day money back guarantee. Payments made from Bitcoin are not eligible for this guarantee. Considering that the minimum money back guarantee offered by VPN providers is mostly of 30 days, PIA’s 7-day guarantee feels a little short on time. However, it comes with a no-questions-asked policy which makes up for the lost time. Where Can I Find Private Internet Access Discounts? Yes, PIA offers deals and discounts on and off depending on the particular events. Generally, PIA VPN gives discounted deals on Christmas and New year. Currently, there is no Private Internet Access Coupons available in the market as their annually and semi-annually deals are already discounted enough that can save more than 50% of the total subscription. VPN adds security and privacy to private and public network, like WiFi hotspots and the internet. PIA is one of the best VPNs to protect your sensitive data using advanced protocols and secure tunneling techniques to encapsulate the entire data transfer. PIA VPN provides the well-rounded security, ensuring that no data is lost without hijacking the connection since all the traffic is protected. PIA VPN strongly encrypts your WiFi by encoding the transmitting data between your device and the router. It creates several security layers which prevent access to your data locally at the hotspot and from internet criminals. PIA turns your data into cryptographic gibberish that nobody can decipher, and interestingly encryption can also be customized. A VPN minimizes the possibility of unauthorized access and data abuse through encryption using diversified tunnelling protocols. Since one of the major functions of a VPN is to provide security and privacy to its customers, encryption and protocols are crucial. PIA offers three tunnelling protocols, to liberalize freedom and choice for the diversified users, including PPTP, OpenVPN and L2TP/IPSec. Point-to-Point Tunneling Protocol (PPTP): PIA use this tunnelling protocol to secure your network/s, allowing access to a network from a remote location after masked-up your real IP. This is useful when it comes to connecting your office network from home or vice versa. PPTP offers shallow security with a minimal effect on your internet speed. OpenVPN Protocol: The company uses the OpenVPN for its Android, Linux, macOS, windows clients. L2TP / IPSec Protocol: PIA VPN also supports a sophisticated Layer 2 Tunneling Protocol (L2TP) for the legacy users, for those who require absolute and competent anonymity and security. There is a slight inconvenience with PIA’s client software as it allows you to select options like data authentication and handshake settings but has a default OpenVPN protocol setting. In case, if you want to use another protocol, you have to configure it manually. Keeping all the value-added features aside, encryption is the core element that satisfies the most basic needs of a user; privacy and security. PIA offers unbreakable encryption of AES 128-bit and 256-bit encryption levels. PIA VPN peer-to-peer (P2P) support system decentralize your communication by the anonymizing routing of your network traffic, providing massively parallel computing environment and distributing storage and functions. PIA enables P2P file-sharing without limit your torrenting to specific servers. Since downloading movies, TV shows, games, books, and software via Torrent is considered illegal in many countries around the world, VPN providers usually don’t allow P2P file sharing. PIA doesn’t fall in this category. It doesn’t mean that PIA VPN is urging you to do something illegal. In fact, it has found a way to allow you download from torrent completely legally. PIA connects you to a server in a country where torrent is allowed and then you can download whatever you like. PIA has special servers in selective countries especially for torrenting, which means they are optimized for a 100% satisfactory torrent experience. Bandwidth is the network’s carrying-capacity, indicating the maximum amount of data can transfer between servers per unit time. PIA allows “unlimited bandwidth” ideally means the faster the transferring-data goes, more the download/upload in a given frame of time. PIA offers a neat feature of a killswitch, an essential tool for privacy-concerned users; prevent your IP address from exposing and leaking your real identity. Kill Switch automatically shuts your internet connection as the VPN disconnects and resume once VPN connection restored, without informing the streaming services to know that you are using VPN to access their content. Automatic kill switch protects you but it can also possibly interrupt an important task in the middle. This feature comes with all the plans, means you don’t have to pay extra dollars to activate this fantastic feature. Although, PIA VPN is a UK based VPN provider which means they have to follow the rules enforced by the UK government and keep a record of user’s online activities. But, PIA does not store your online traffic logs, following a zero-logging strategy; it meant there is nothing to see and traced in any case and you don’t have to worry about your privacy, no matter what? This gives their users a peace of mind that is rare in the digital world. ✎ Read Also: 5 best and most recommended UK VPNs. DNS leak protection disables user’s DNS server and connects them to a VPN’s DNS server. 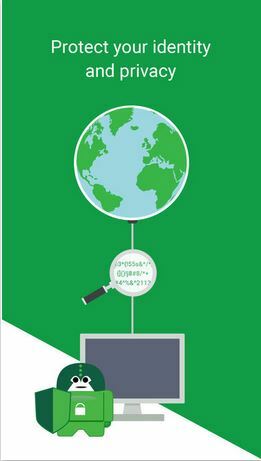 PIA has its own personal DNS server which handles all the DNS queries. This provides an extra level of protection to the user when DNS requests are routed via PIA VPN. DNS leak protection ensures your anonymity is intact 24/7. Whereas IPv6 Leak Protection means PIA automatically disable your IPv6 network address. Windows XP users need to check it as PIA won’t disable their IPv6 network address automatically if they have enabled it manually. However, Mac and Linux users have nothing to worry in this regard. Upon clicking sign-up, a pop-up window appears to choose your payment method. After selecting a suitable payment method, you will be given a form to fill your login credentials based on the given payment method. Once you subscribe, you head over to the download area and get the software you need based on your platform. All the popular platforms are being catered by PIA VPN. Now it is the time to setup your router in line with PIA, this is fairly easy, thanks to the support centre. PIA also offers pre-configured routers for sale, and for hands-on, it has detailed guides for the well-known router firmware. For the manual settings, documentation explaining killswitch, port forwarding, SOCKS proxies and other various settings, are there to make your hands dirty in setting all the things up manually. Cancelling subscribers varies with the payment methods you choose to pay with. If you have subscribed via a Credit card, Paypal, Google, or Amazon, you can cancel your subscription by logging into the Client Control Panel and click the cancel button. In case you purchased service by OKPay, you need to log in your payment account on their website, locate the subscription for our services and cancel the subscription there. For rest of the users, simply skip the payment option and your account expires automatically. The need of a VPN justifies many reasons, the number of servers and geographical distribution are the critical aspects while making a purchase decision. More the diversified list of servers more geo-restricted content can be accessed with a VPN. Private Internet Access is operating from Michigan in the US, giving access to 3000+ servers in 25 geo-scattered regions. Although it is fewer than some VPN providers, but still the best choice keeping the geographic diversity and budget price into context. Currently, PIA VPN has servers in 25 countries present across Asia, Central America, India, Europe, South America, the UK and the US. Connecting to a particular server, you will be assigned an IP or in other words, virtual visa of that respective region, to access content produced for native-eyes only. PIA VPN does not offer services in the African areas like other VPNs. Numerous servers mean divided crowd whereas multiple server locations mean you are very likely to find a nearby speedy and reliable server that is not too crowded even when you are traveling. Is PIA VPN Good for torrenting? Yes, Private Internet Access is one of the Torrent-friendly, the most affordable and security conscious VPNs in the world. PIA offers utmost flexibility in encrypting your torrent (anonymous) downloads and fade-away your downloading history. Being torrent-friendly, PIA VPN does not restrict torrents to specific servers, in fact, it has unique solutions for rerouting torrent activities to more TorrentFreak countries. Every PIA VPN subscription includes anonymous SOCKS proxy service that expand the flexibilities in anonymizing torrent downloads. PIA VPN gives you most robust encryption, preventing throttling or monitoring with a massive list of locations/servers. Downloads may be getting slow at times. Torrenting with PIA VPN is quite easy; after sign-up, kill switch should be enabled (though it’s optional, recommended) and simply launch your favourite torrent client. ✎ Read Also: Check out the complete list of ReviewsDir most recommended Torrent VPN. Imagine a feature-rich VPN in exchange for a cheap price with 3000+ servers in 25+ countries but, connectivity is restricted to your PC only. All the attractive features go straight into the trash. As the technology evolves so do our lifestyle, we are becoming busier day by day and device compatibility, therefore, known to be the essential constitute we start taking into consideration in purchasing a VPN. Android has drastically become a top-notch, reliable and do-everything smartphone. Hackers realize that people do almost everything on their Android PDAs, making a prime target to break into to steal the data and to record the most intimate habits of the users. PIA cash the opportunity and develop an Android-compatible app for free but, you have to pay for a subscription. A dedicated app with all the same features (killswitch, encryption options, SSL features and auto connect) and the similar outlook pattern with that of windows. Android version of PIA VPN also offers options between TCP and UDP, that might come in handy when using public WiFi. Android app also offers a Smart Packet options; shrinks the data sent by phone. You can designate which apps should have their NVP routed data. Naturally, VPN slows your browsing significantly, but with PIA VPN, you can choose to secure high-value apps, leaving rest in the faster yet less secure channel. The popularity of iOS made it a primary target for hackers to steal the data, as they know that most of us save our private passwords and ATM codes in our cell phones, furthermore accessing public WiFi is giving more accessible ways to hack into our iPhones. The need of a VPN become a top priority for anyone using one of these devices. The Private Internet Access developed an iOS app for free but will need a subscription to use the app, of course. The IPA iPhone app is a stripped-down affair like the window client, and it is more than the page with a toggle the VPN connection on & off. An iPhone app shows your actual and apparent IP address. Unfortunately, the iPhone app doesn’t offer similar features as its Android cousin; you cannot designate specific apps but, does include the MACE ad and malware blocker. Users are searching PIA VPN Mac app in the official Mac store sure to be disappointed as the company is providing its VPN clients through its website. Unlike other VPN clients, PIA has an honest-to-goodness installer; merely clicking and dragging the app into the folder is the regular practice of all the VPN clients for Mac. PIA has replaced the conventional approach with an instant installer that gets you up and runs in no time. Once installed, Private Internet Access app remains un-Apple in outlook with the spartan grey window directly imported from the windows version. The speed and performance of PIA in MacOS is remarkable especially when it comes to local VPN server while connecting to an international server; the case is entirely the opposite. The Private Internet Access is a feature-rich customized VPN client software with umpteen top-end features and options. For most of you, it’s not the most stylish front end but, as far as functionality is concerned, it’s simply outstanding. Accessibility of all the setting settings is just a click away; clicking a simple/Advanced button in the left corner reveal all the setting options. Simple mode shows login setting and a drop-down menu with several server locations whereas in advanced mode, you can select encryption options. Connection button brings up useful options like kill switch; to protect in case VPN drops out, and Port forwarding; to get around firewalls. It is noticed that kill switch is a bit moody, at times does not respond. However, the issue said to have been resolved in the recent updates. One thing to bear in mind that PIA VPN does not execute auto-update, you need to check the availability of newer version periodically. Is PIA VPN good for Online gaming? The world of online gaming is not all fair; the true gamer can relate the most justified reason for using a VPN for playing games online. Global connectivity, no data cap or throttling, fast speed and no or little lag, are few of the possible measures that need to be considered before investing in the VPN for online gaming. All these features are then and there in Private Internet Access VPN. Using PIA VPN for online gaming gives you accessibility to acquire downloadable geo-restricted content and earn locale-specific achievements. With this VPN, gamers can purchase newer versions that are the cheaper than the local price or might not available at all. This VPN protects players from DDoS attacks, which is the usual practice of hackers to gain notoriety. Private Internet Access website is following the Spartan design, looks fantastic, and doesn’t hide essential details about the service; this stands out PIA from other VPNs. Encryption details are readily available and also mentioned that it is based in the US; applaudable transparency. Upon reaching the website and sign-up, PIA sends login credentials via email to get more anonymity. You will find a navigation bar at the top of the homepage, which quickly connects you to all the different parts of the website. All the tabs are marked; Home, How it Works, Download & Support, Contact Us, and Join Now. For existing members, you will find the Member Login option in the top right of the page. Login window acts as a setting page for encryption, servers and proxy information; everything else rests in the system tray icon’s right-click menu. As you connect to the Private Internet Access server, the icon glows green, establishing connection turn the icon grey and rolls red upon disconnect. Experiencing the load of any server is difficult to capture as the interface is so minimal. One of the most impressive thing about Private Internet Access website is its excellent blog, written by the privacy head of PIA VPN, Rick Falkvinge, founder of Swedish Pirate Party. He writes the blog related to VPN and other related content. This blog is an excellent source of privacy news, and the blogs are not restricted to PIA subscribers alone. Can I access Netflix with PIA? No, it’s kinda unfair but believes me, not a single VPN can survive consistently with Netflix. It seems to be a constant back and forth between Netflix and new IP ranges and being banned. Netflix banned most of the VPNs and PIA is not an exception. Within the service industry, after sale services are the crucial enforcers to retain the clients. However, in the case of VPN, after sale service becomes more than just a necessity. When you are in the middle of trouble, customer service representative is often a life-saver. All the customer-retention services added value to the service purchased and kept the client for years. The FAQs section is clean and categorized to perfection. You can see payment related questions, account related queries and technical issues mentioned separately. There is a search bar to help you narrow down the relevant result. Also, “submit a ticket” option is available to contact the team if you can’t find the answer. Client support page is basically your companion when you are setting up the VPN. It has all possible guides and instruction manuals to assist you in doing things right in the first attempt. You can scroll up and down to view the massive list of information given in this section. Client support has material for every OS. PIA VPN doesn’t have the typical live chat option. In fact, it has a “Help” button on the bottom right of the screen. This button is basically a search bar but it also has an option to leave a message for the PIA’s team. You need to provide your email address before submitting the message and the support team will get back to you. Is PIA VPN blocked in any region? Data retention law passed in Russia which mandates Russian telecom and web-based services to store internet traffic, metadata and communication, which was turned down by PIA VPN. In response, Russian law and enforcement authorities seized PIA servers in Russia without any notice. The VPN service declared the discontinuation of Russian gateways and their operations in Russia. This ensures that PIA respected their users more than their brand image, this shows no compromising on subscriber’s privacy since the service don’t keep the log. When it comes to reviews, we always look for more than one reviews to formulate our final decision. Below is the handful snapshots of users’ reviews that have posted on PIA official sites and other dominant sites. PIA gained the tremendous reputation in the market by maintaining the services exactly the same what company says and means. The client software is simple to use and more advanced features within the range of a couple of clicks. The number of servers is constantly rising without compromising on the speed and quality. The geographical regions covered by PIA is diversified enough that one could never find it difficult to connect to any PIA VPN server residing in any part of the world. PIA VPN also practices Zero-logging policy and anonymous paying methods that further satisfying the security consciousness of the users. PIA is an environment-friendly VPN service; for each new server installed, a tree gets planted, and it is not something normal in this industry. After a detailed analysis of Private Internet Access features, we have coined several characteristics that stand PIA out from the other top-class VPNs, this include; multiple payment options, diversified list of servers, and device compatibility. We hope you enjoyed this review; If you still not sure that PIA is the best service for you, browse our reviews of other top-notch VPNs. Don’t forget to share your experience with us in the comment section below.